We ship our products to points throughout the United States and the globe. All items are shipped out of our New Jersey facility. We ship most items VIA UPS but we can accommodate your specific requests. Click Here to calculate shipping times from 08055 to your destination. 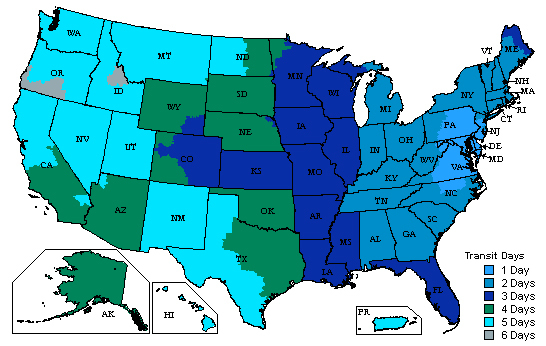 Below is the UPS Zone Map showing the delivery zones throughout the United States.